Providence, Rhode Island is a friendly city full of culture, history, and diverse immigrant communities. The area is reminiscent of Venice because of the 3 rivers, its arched bridges, and a waterside amphitheater. 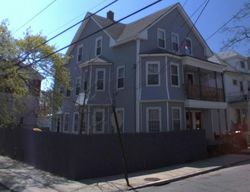 It is the most populous city in Rhode Island and it is predominantly a renter's paradise. What better time than now to buy a home on the foreclosure listings? The real estate market is booming. With about 538 existing homes on the resale market and 1,310 homes in foreclosure and the median home value of $226,683 a wonderful neighborhood can be found that is right for you. With a 9.4% unemployment rate, comparable to the national average, it would be a good idea to find a job before you move to this area.